Sailing charter at Fort George Cay. 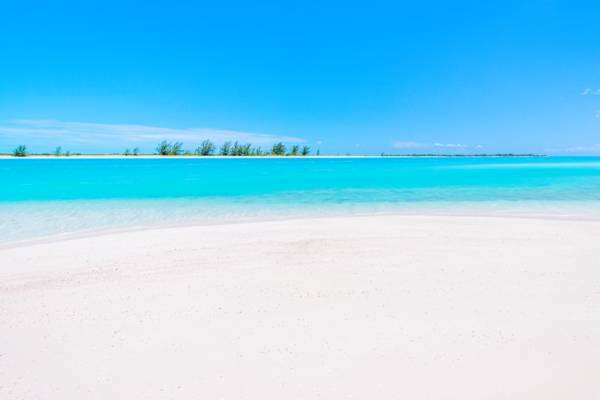 The Turks and Caicos features an amazing collection of secluded beaches. 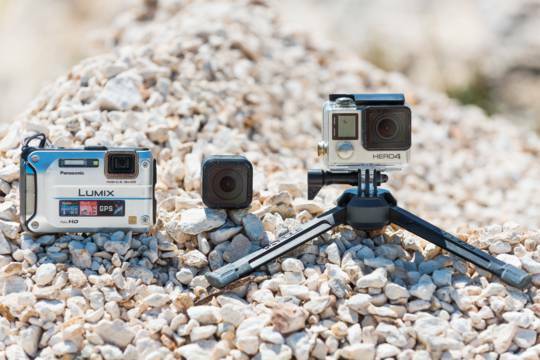 The Turks and Caicos is an amazing destination for outdoor enthusiasts. This itinerary guide packs in a few more sights and activities than our 7 Night Guide for First Time Visitors, so there’s bit less relaxing on the beach. In addition to your accommodation and flights, you may want to make some activity and dining reservations prior to arrival in the Turks and Caicos, as availability of some boat charters, horseback riding, and some fine dining restaurants are likely to be limited, especially during the winter to spring high season. We advise renting a car for the duration of your stay. On Providenciales, the rate for a compact or economy car typically come in well under $50 per day. North American drivers will primarily notice that we drive on the left in the Turks and Caicos. Every visitor to Providenciales should have a checklist of beaches to visit. At a minimum, we recommend Grace Bay, the Stubb’s Point (also known as Pelican Beach or Sunset Beach) and Emerald Point (also known as Leeward Going Through) locations on Leeward Beach, Long Bay Beach, the Bight Beach, Sapodilla Bay, and Taylor Bay. Lunch at Provence restaurant in Grace Bay. If great dining is important, you’ll want to make your restaurant checklist as well. We advise making reservations well in advance for the popular fine dining restaurants. 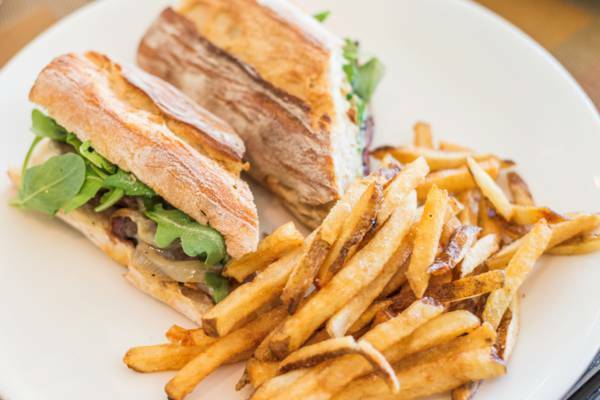 Great gourmet restaurants include Coco Bistro, Caicos Café, Le Bouchon, Grace’s Cottage, Bella Luna, Mango Reef, Las Brisas, Mangolia, Bay Bistro, Via Veneto, Baci. For casual dining, consider Sharkbite, Pizza Pizza, Provence, Da Conch Shack, Bugaloo’s, Ricky’s, Chinson’s, Fairways. 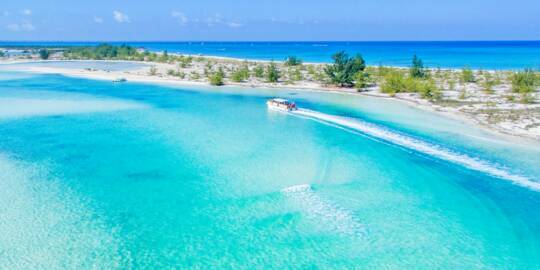 It’s generally a simple and quick process to arrive at Providenciales. Budget 1-2 hours on arrival for clearing immigration and customs, picking up a rental car, and travelling to and checking into your accommodation. Your arrival afternoon is a great time to stop by a supermarket to pick up some groceries and supplies. If you’d like to buy alcohol, Wine Cellar offers the widest selection, and Turk’s Head Brewery offers the lowest prices for local beer by the case. Graceway Gourmet and Do It Best carry beach accessories such as umbrellas, towels, coolers, and inflatables. The Dive Provo shop and Blue Surf Shop sell snorkel masks, rash guards, and swim wear. The beach at Dellis Cay. 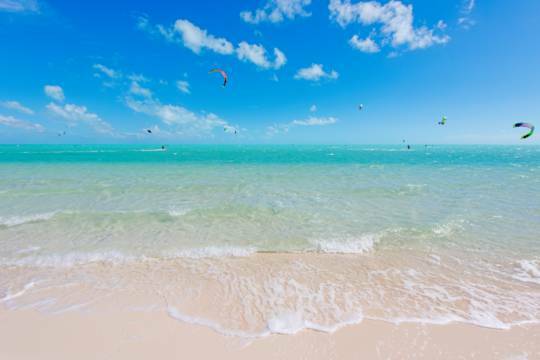 A great way to spend your first day in the Turks and Caicos is to simply enjoy some of our unparalleled beaches. Providenciales offers a great selection, but most will be happy simply spending most of the day at the world famous Grace Bay. Consider visiting one of the shore snorkelling sites as well. Providenciales features two snorkelling reefs that are easy to access. The Bight Reef is the most popular site, is easy to access, and is adjacent to great beach. Smith’s Reef is nearby, yet it is a little more difficult to find the best reefs. The central outer section at Smith’s Reef is spectacular. Snorkelling tour on the Caicos barrier reef. Our top recommended activity is to take a boat cruise or charter that visits the beautiful cays, beaches and reefs around Providenciales. There’s a wide variety of tour businesses and vessels to choose from, with both shared and private charters available, and most are excellent. Some of our favourite sights and stops include the iguana sanctuary of Little Water Cay, the beautiful beach at Half Moon Bay, and the secluded cays of Water Cay, Pine Cay, and Fort George Cay. Most cruises stop at snorkelling sites as well, such as the exquisite barrier reef near Leeward. Although pricey, a private charter is a great experience. You’ll be able to spend the day how you’d like, and avoid the crowds. See Providenciales Boat Charters from information on selecting the right charter. Wave breaking over Dragon Cay at Mudjin Harbour on Middle Caicos. 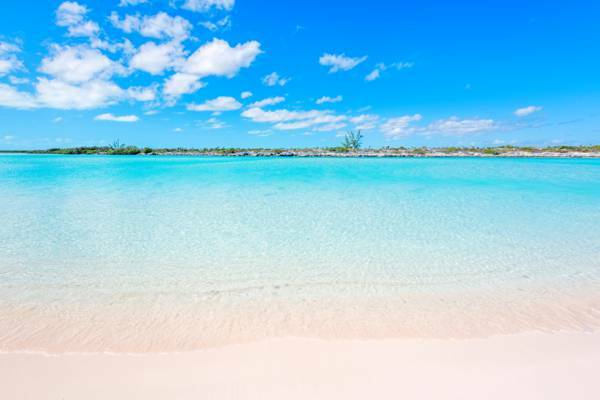 A great way to spend a day in the Turks and Caicos is to take a day trip to North Caicos and Middle Caicos. These two sparsely populated islands are connected by a road causeway, and feature a wealth of natural sights and secluded beaches. To get to North Caicos, take the small passenger ferry from Heaving Down Rock Marina to Sandy Point on North Caicos, which is a fun and scenic ride itself. You’ll have to rent a car for the day on North Caicos for transport. Top sights are the majestic Mudjin Harbour, Conch Bar Caves, Bottle Creek, and miles of secluded beach. Minor yet fascinating attractions include the Cottage Pond blue hole, Wade’s Green Plantation, I ndian Cave, the Crossing Place Trail, and the several quaint villages found across the two islands. Another great way to spend a day on Providenciales is to explore a bit by car. The coastal residential region of Turtle Tail on Venetian Road offers a very scenic drive. Another interesting route is the coastal road in the old community of Blue Hills. The southwest coast region includes the brilliant Chalk Sound National Park, Sapodilla Bay Hill and Sapodilla Bay Beach, and Taylor Bay. Two great restaurants are found in the Chalk Sound and Five Cays area. Las Brisas overlooks the turquoise Chalk Sound Lagoon, and Bugaloo’s is found on the beach at the fishing village of Five Cay. A perfect way to end the day is on a sunset cruise. There are several to choose from, including private and shared sailing charters. Kayaking in the brilliant Chalk Sound National Park. Outdoor and nature lovers should consider a day discovering our incredible marine environment. 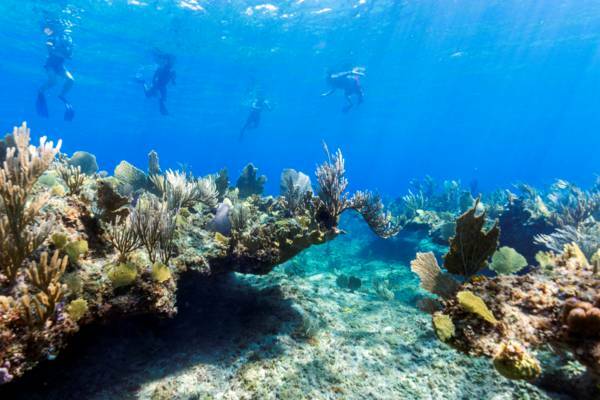 A dedicated snorkelling safari that visits diverse reef systems is amazing, and usually stops at barrier reef sites, sheltered inshore reefs, and the majestic cliffs and unbelievable blue water of West Caicos. 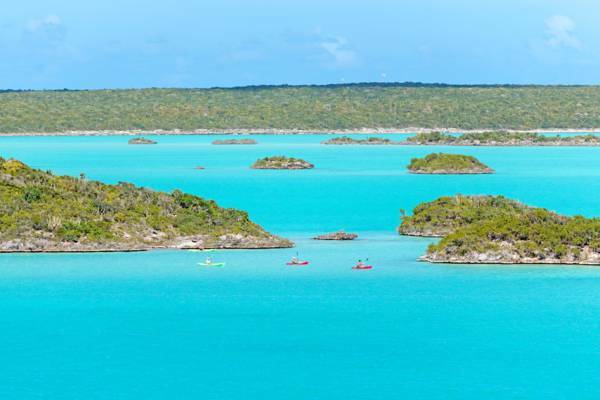 If you’d rather be above the water’s surface, try a kayak or stand up paddleboard adventure in the verdant mangrove wetlands of the Turks and Caicos. Certified scuba divers should consider a two tank dive. Secluded beach at Northwest Point National Park on Providenciales. Your final full day is perfect to fit in some of the activities that you may not have had the chance to do over the previous days. Parasailing over Grace Bay is incredible. The quiet ruins of Cheshire Hall Plantation offer an insight into the Loyalist days of the Turks and Caicos. Provo Ponies is very popular and does beach and ocean horseback riding at the turquoise waters of Long Bay Beach. The queue for airline check in and security are usually a little longer for departure than what they are for arrival. We advise arriving three hours prior to flight departure during the winter and spring months, and two hours prior to departure in the summer and fall months. Sunset and sunrises can be amazing in the Turks and Caicos! If you have a little extra time or want to substitute one of the prior recommendations, explore the following. Providenciales offers some great water sports, and you vacation in the Turks and Caicos can be the perfect time to try one out. Freediving is a tranquil and unforgettable experience. The Turks and Caicos offers excellent sport fishing and bonefishing. 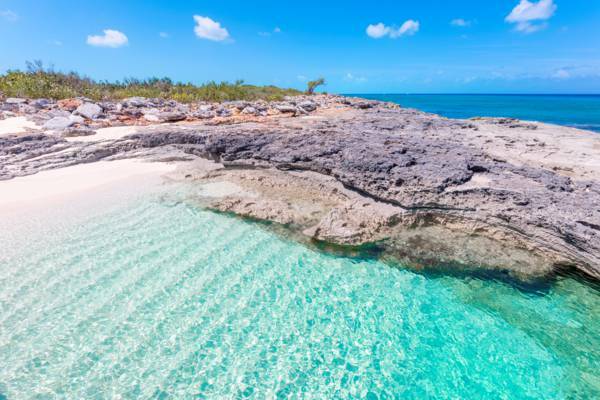 Salt Cay and South Caicos are also great islands to visit on a day trip. 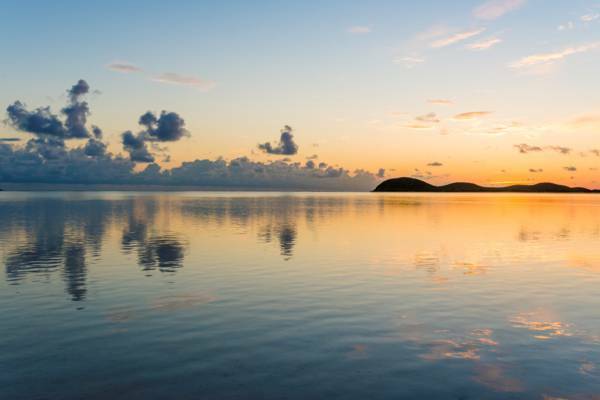 The tiny island of Salt Cay offers a laidback British Bermudian colonial atmosphere and great beaches. 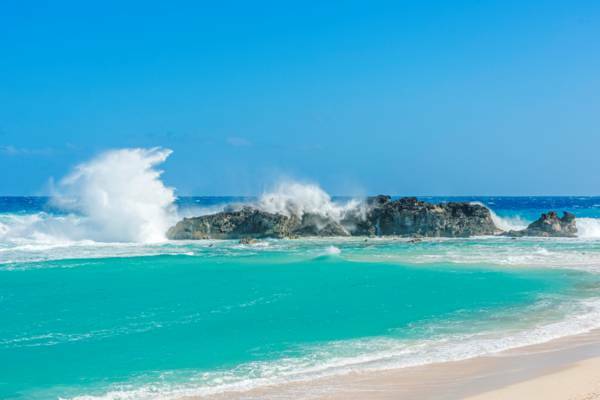 South Caicos has rugged landscapes, salinas, and old world charm. Jet skis available as rentals by the hour or as guided tours, are quite exciting.